A new training scheme which will help to develop nurses of the future has been launched. Hull University Teaching Hospitals NHS Trust is working with the University of Hull to introduce the role of the Nursing Associate, to address current skills gaps and help individuals go on to build successful nursing careers. Nursing Associates will work with a higher skill-set than traditional Nursing Auxiliaries to assist, support and complement the care given by registered nurses. The Trust is a second wave pilot site for the Nursing Associate role, with study being carried out at the University and hands-on experience gained at either Castle Hill Hospital or Hull Royal Infirmary. The University is playing a pivotal role in the region’s health, by providing skilled graduates for the NHS as it leads a transformation of its health and care workforce. Seventy per cent of nursing graduates from the University go on to work in the region. The position of Nursing Associate has been commissioned for development by Health Education England. 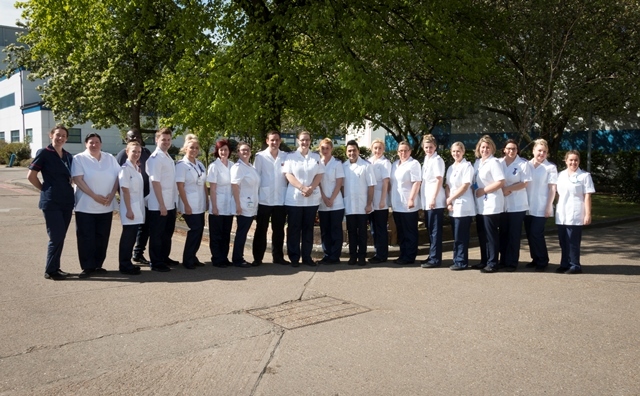 Twenty Nursing Associates have now begun to provide high quality compassionate care to patients at Hull University Teaching Hospitals NHS Trust in departments such as paediatrics and emergency care. ‘The role of the Nursing Associate provides a new and exciting pathway for those looking to enter the world of nursing and begin building a career for themselves. ‘We have recently welcomed 20 Nursing Associates to Hull Royal Infirmary and Castle Hill, who will work across all four health groups in areas such as paediatrics, emergency care, surgery, and neuro rehabilitation. Here they will build their knowledge and skills, for example, in medication management, nutrition and other fundamentals of care by delivering hands-on care to patients and supporting our wider clinical teams. ‘The Shape of Caring Review commissioned by Health Education England Nursing and Midwifery Council recognised a workforce development priority was to develop nursing associates and associate practitioners. The aim is to maximise workforce capacity to deliver safe and high quality care ensuring they meet the needs of future skill shortages. ‘It is a great opportunity for those who feel they have those natural care skills that are essential to an effective NHS. It is a shortened two-year programme that will enable them to support registered nurses, providing the nursing skills that are in demand. ‘This is the perfect opportunity for me. I have worked for 10 years on the stroke ward at Hull Royal Infirmary as a healthcare assistant and now I am ready to take the next step in my career.